22 Michaels: What level of customer service is appropriate for your business? 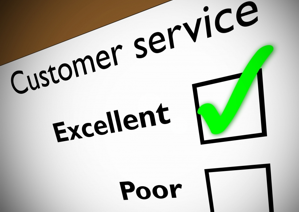 What level of customer service is appropriate for your business? This is a post that was cross posted to the NETT magazine blog. 2. as a cost of doing business. The best approach for your business essentially comes down to what you want your key point of difference to be in the market, and whether customer service is important for that or not. An approach being taken by a lot of businesses, particularly recently, is to treat customer service as a marketing tool. Rather than measuring customer service as a cost of doing business that needs to be minimised, businesses will look at customer service as a marketing tool where the return on investment should be maximised. Free shipping to the customer, and free return shipping for returns. If you’re unsure about your shoe size, Zappos will actually suggest you order two pairs of shoes in the sizes you’re unsure about, then return the pair that doesn’t fit, all completely at their cost. There are also numerous stories and review online of where Zappo’s employees went completely out of their way to help customers. A common story is Zappo’s employees pointing customers to competitor sites when Zappos are out of stock of a particular item. One of my all time favourite customer service stories comes from Zappos. The customer’s mother had recently purchased some shoes and then sadly passed away. The customer had organised to return the shoes but, with everything else going on she hadn’t had time to take them to the post office to send them back. Zappos arranged to have UPS come pick up the shoes—and then sent her flowers! Zappos obviously lost money on this transaction. Not only did they receive the shoes back they had to pay for the cost of the return shipping and flowers. However aside from doing the nice thing and acting like a normal human being rather than a faceless business, countless people, including me have retold this story and they’ve probably sold 1000’s more pairs of shoes by doing it, earning their money back and a lot more. This is the approach taken by most businesses, and while I wouldn’t recommend it for most businesses, for some it’s probably the most profitable approach to take. Take Virgin Mobile in Australia. Nearly every experience I’ve had with their customer service has been atrocious. They clearly aim to reduce their customer service costs and don’t emphasise customer service within their organisation’s culture. Despite this I stick with them because their point of difference is that unlike the other telcos they include international calls in their capped plans and I make a lot of international calls. I probably wouldn’t recommend theirs as an approach for the vast majority of businesses, but because there aren’t a large number of competitors in the mobile telco space, Virgin are able to get away with cutting costs on their customer service, and customer’s like me reluctantly stick with them. A less extreme approach is how Google treat customer service with their free products. The point of difference for products like Google Search and Gmail is that they’re free and help you easily find the information you’re looking for or in Gmail’s case, access and manage your email. In my view these products are better than any of their competitor’s offerings so I use them even though the only customer service offered is Google’s help centre, they don’t offer phone or even email support for these products. The growth of online marketing and customer reviews is increasing the importance of offering great customer service for businesses. It’s now quite easy for anyone to write and publish a review online about any product they’ve used. Many customer’s will search for and read reviews online before making a purchase from a company, whether that businesses operates online or offline. Studies have shown that a primary reason for customers writing bad reviews is receiving bad customer service, so offering great customer service will help prevent those bad reviews. The growth of search engine marketing means many businesses receive a lot of their traffic from people searching on their brand name on Google. At Shoes of Prey we receive about 15% of our traffic from people searching for ‘Shoes of Prey’. One of the top results from this search is this fantastic review from one of our customer’s who also happens to write a reasonably well trafficked blog. In her review she specifically mentions our great customer service and no doubt that helped prompt her to write the review in the first place. At Shoes of Prey we’ve taken the Zappo’s approach to customer service, with a few tweaks to suit our business model. With our unique product, allowing women to design their own shoes, our marketing approach is built around PR, word of mouth and social media marketing. To encourage all 3 of these forms of marketing we need to wow our customers so they want to write about us and tell their friends about us, and a key way we do that is through our customer service. We want our customers to love their shoes, and we don’t want any customers keeping their shoes if they’re unhappy with them. So if a customer’s shoes don’t fit we’ll remake them at our cost, or if they’re just not happy with them for any reasons, we offer a full refund. This is expensive for us to do because we can’t easily resell the shoes as they’ve been made specifically for the customer, but customers really appreciate this policy and we think it’s worth offering. All this is more than you’d receive from a normal shoe retailer and hopefully adds to the wow factor. Our first Sydney based employee, Carmen Roche takes care of most of our customer service. On our contact us page we have a short video from Carmen introducing herself as the person who will respond when you contact us. We aim to respond to all emails within 24 hours and during business hours we cut that to 4 hours. We don’t use copy/paste email responses and tailor and personalise all our responses. Carmen has built up a great rapport with many of our customers which increases trust and rapport. Once our email volume gets too much for Carmen and we hire a second person, we plan to have only one of our team respond to each customer so we can continue to keep our emails highly personalised. Jodie, one of our co-founders, takes care of our social media marketing. She’s recently started adding her name to her posts and comments on our Shoes of Prey Facebook page and since doing that we’ve noticed an immediate increase in responses to her posts. It seems obvious to us now - people much prefer feeling like their speaking with a real live person rather than having an anonymous person write back to them. Deciding what level of customer service is ideal for your business comes down to the type of product, what you’re offering to the market and the reason you are giving customers to buy your product rather than your competitors. If, like Virgin Mobile or Google that ads up to keeping the cost of customer service down, then that may well be the most profitable approach for you. For a business like Zappos or Shoes of Prey, where we aim to differentiate and wow our customers based on our customer service, treating customer service as a marketing cost where the return on investment should be maximised rather than costs minimised is a better approach. Hello Michael, I read your last post about Virgin Mobile and I thought it was interesting since because like you I'm a Virgin customer and have been for many many years, who puts up with bad service.. They actually weren't always bad, and over time I convinced others around me to go with them, so now my husband, 3 kids and my sons gf are all with Virgin. So we all get free virgin to virgin calls and texts, and thats why I put up with the bad service like you..
Also I gave Optus a shot when it came time to setting up my office adsl and telephone, they had a great deal on but totally dropped the ball and let me down and the customer service was atrocious, so my office adsl and phone went to iiNet who I use at home and are happy with but were more expensive than Optus.. Anyway you can have bad customer service and still do ok, when all your competition is just as bad!!! I think you are very clever to use Zappos as a model of successful customer service, as we know that word gets around the world fast these days.